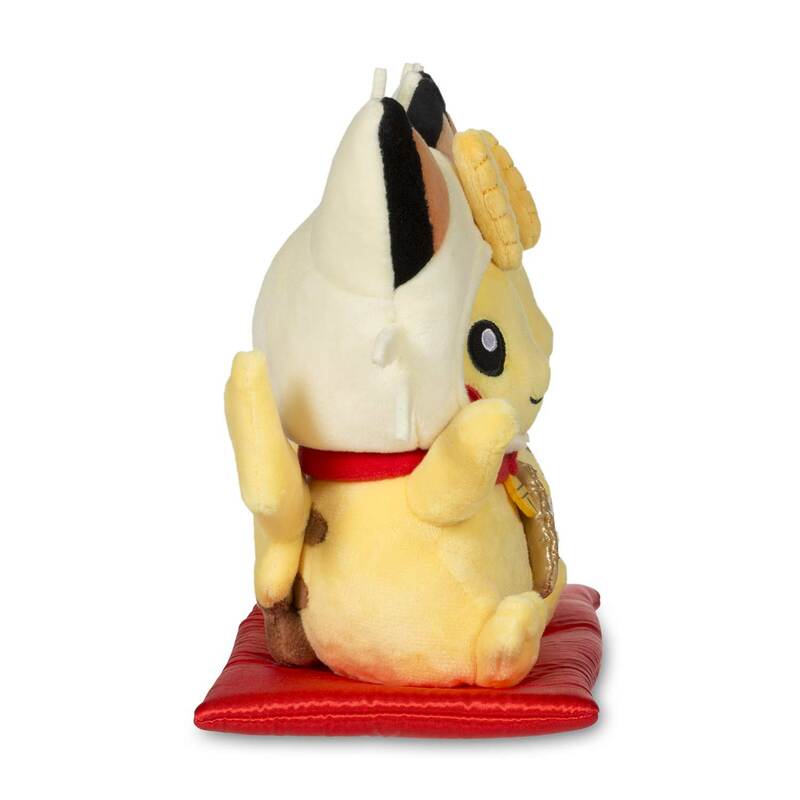 Paired Pikachu Celebrations: Good Fortune Pikachu Plush - 9 1/3 In. 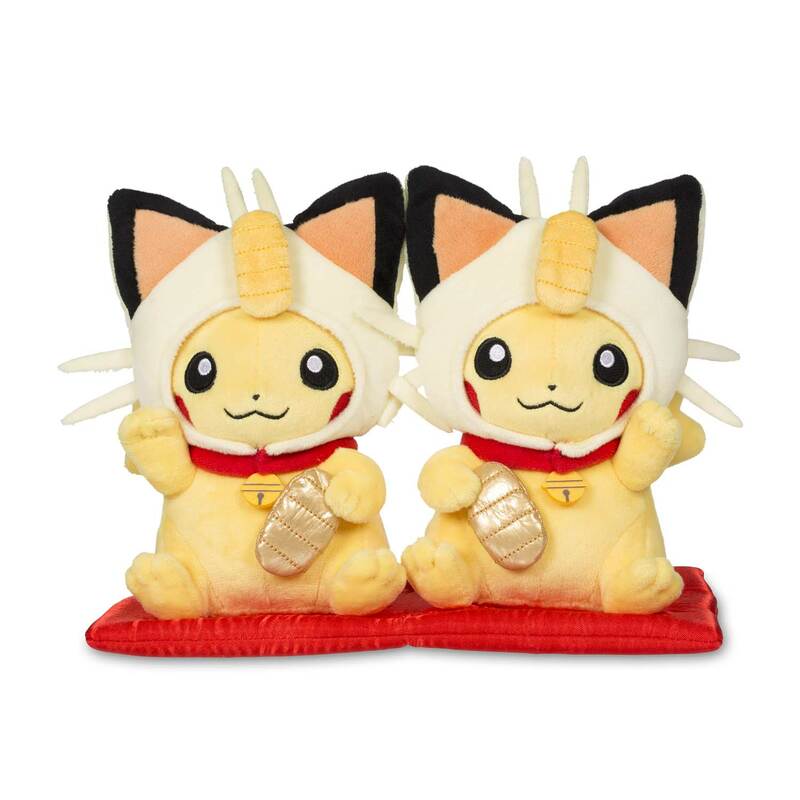 These two slightly plump Pikachu are both wearing removable Meowth hoods, sporting a belled collar, and holding a golden coin. 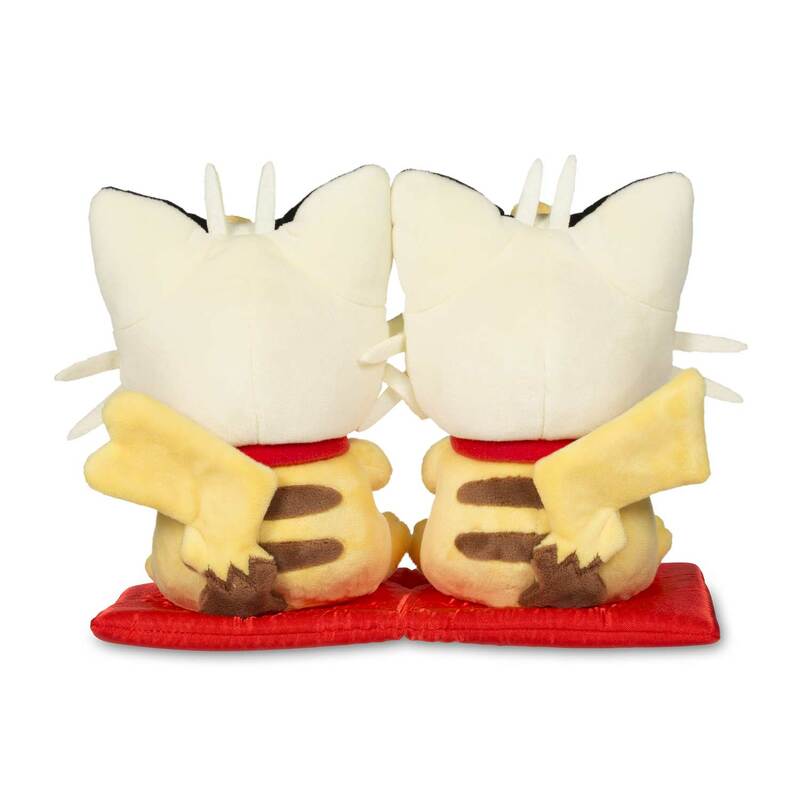 They are seated on a satiny red pillow and beckoning with their paws, in the lucky-cat style to draw good luck! The Japanese lucky cat is a figure or statue often found in shops and restaurants, and it is thought to bring good fortune to its owner. Most maneki-neko are white, gold, or red, but they come in many styles and many sizes—all of them waving to bring good fortune! 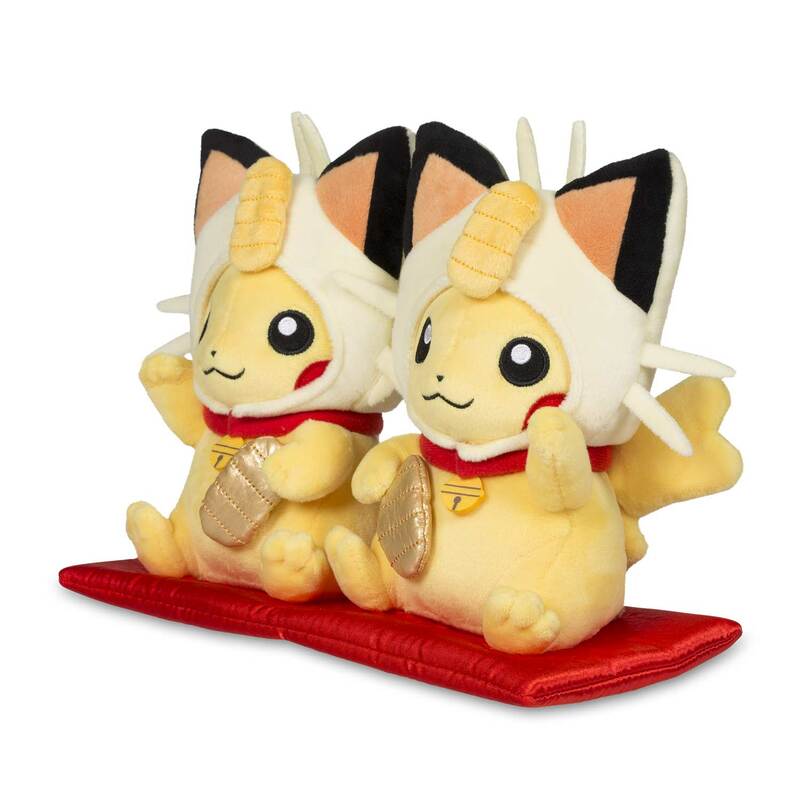 Good fortune Pikachu are happy Pikachu!